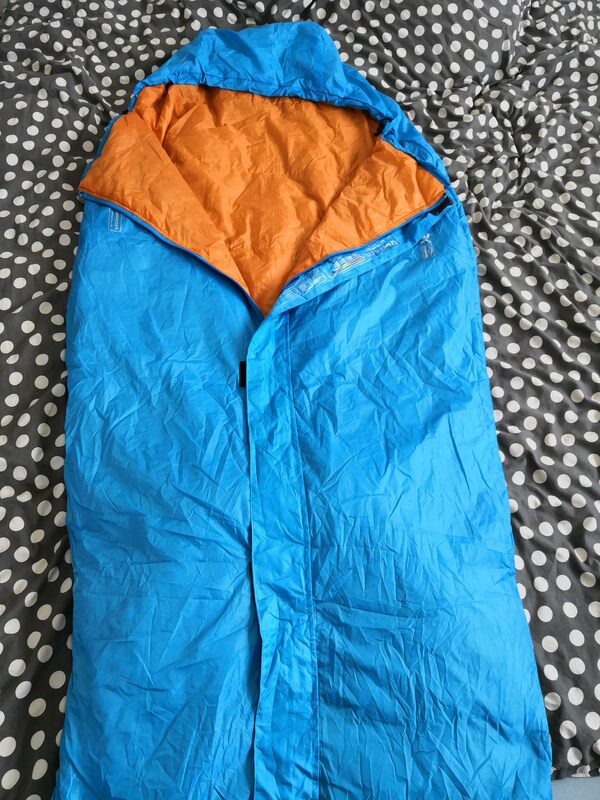 I have bought this sleeping bag specifically for the transcontinental race due to the weight and pack size. 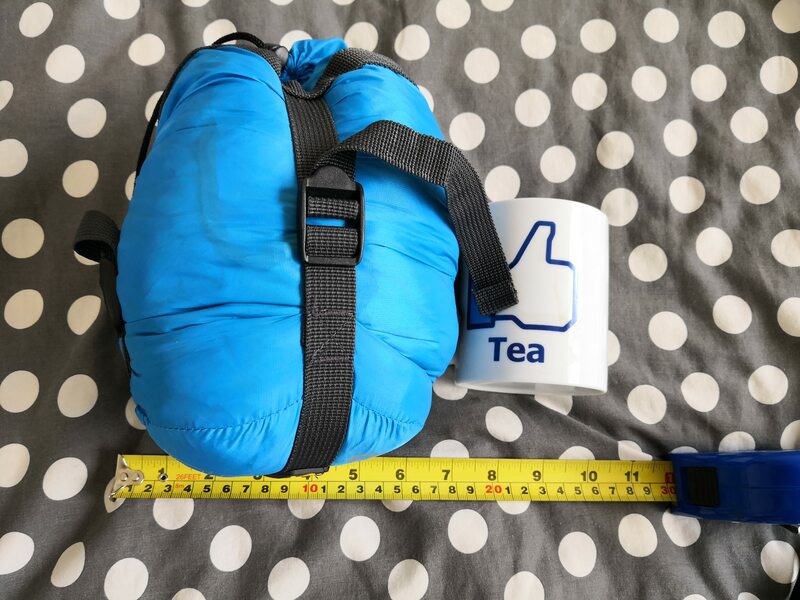 I have a few other sleeping bags which I have used for bike packing trips, but they are all much bigger in size and did not tick the box of being small! 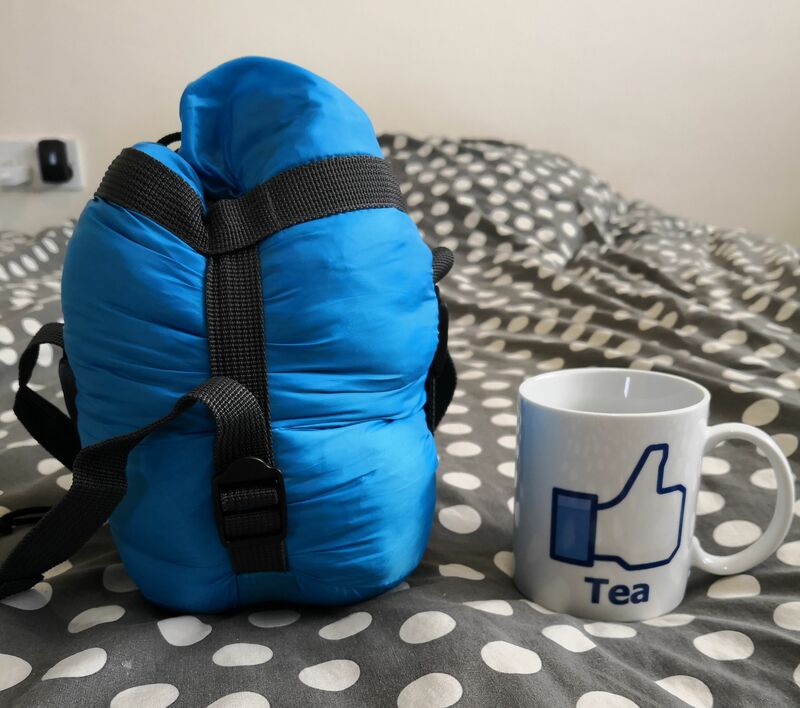 I had an opportunity to use the bag once already for a night when I cycled over to Wales for the Brevet Cymru Audax. I used the bag as well as bivvy bag on a bench in a park not too far from the start! During the night, the temperature probably did drop to around 4-6 degrees. I did not get too cold, but I would have felt if the temperature dropped any further, probably on the lower limits of my sleeping setup. Unfortunately, at that time I did not have my skeleton sleeping pad, the night would have been even more comfier! You probably are able to get to the advertised compression size, but I believe it would strain the straps a lot if you compressed as much as possible everytime, so I tend not to overdo it, as it would probably break over time and when storing, I undo the straps at all.